Mel B was spotted pout in LA showing her baby bump, pretty pregos. Janet Jackson in her element on stage in Berlin, IDK about her hair though Janet the short cut was fresh and new, this is so dated. 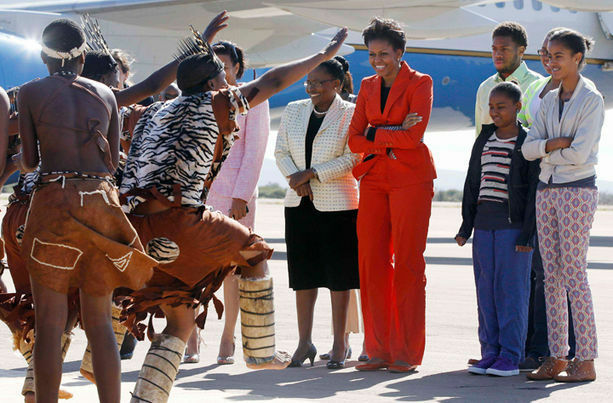 Michelle Obama and her girls was greeted as they arrived in Botswana Africa.